It’s always fun when loveable side characters get their own movie. This can work really well in as in Penguins of Madagascar or it can be a flaming mess as in this movie. Okay, basic plot: Minions are these weird and wonderful pill-shaped beings whose sole purpose is to find an evil master to serve. Over the centuries they’ve served many masters from the T-Rex and ancient pharaohs of Egypt to Dracula and Napoleon but The Minions have a nasty habit of accidentally killing their masters. 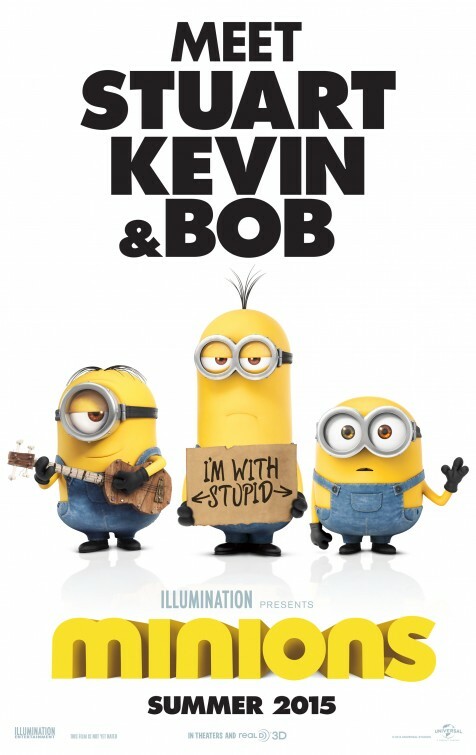 Without a master, The Minions become depressed so Kevin, Stuart and Bob volunteer to go on a grand quest to find a new evil master for them to serve. This movie is a perfect example of how too much of a good thing can be bad. I love tomato sauce on my fries; but if you gave me a plate full of tomato sauce without any fries, I wouldn’t be very pleased. The Minions are tomato sauce – great when added to something but on their own, rather hard to swallow. They’re still very adorable and cute but as the main characters in a story they don’t quite work. Number one, they literally spout gibberish so understanding them is a problem. This was fine when they had little side-gags in Despicable Me but this is their movie and you’re not offered a lot of insight into their personalities. Speaking of personalities, that’s the second problem, they had no personality. They’re just yellow, banana-shaped things in denim overalls that just goof around. They don’t have any heart or soul so you can’t get emotionally invested in them. This movie’s biggest floor lies in the poor quality of its script. This movie isn’t funny, it doesn’t make you feel good, there’s no moral at the end of it – it’s lacking not only purpose but soul. Now I may sound a little harsh but I was in a cinema filled with children, with children on either side of me and there was hardly any laughter in the cinema. So I know my lack of enjoyment of this movie wasn’t based on the fact that I’m no longer technically a ‘kid’ and therefore, too old for this. I also had a problem with Scarlet Overkill (voiced by Sandra Bullock), she’s hardly in this movie. She’s this big, bad villain The Minions have been looking for and when they find her, she disappears from the plot almost entirely. This was really disappointing because I think she had the potential to be a really funny and cool villain. I’m also not sure if I liked Bullock’s voice acting in this movie. I thought Jon Hamm did an awesome job with his voice acting as Herb Overkill – Scarlet’s husband. He was quite funny as this overly romantic and flaky partner to the always super serious and professional Scarlet. I wish they had more screen time and a bigger role in the advancement of the plot. I haven’t seen Minions, but I was a small fan of the Despicable Me franchise. Reading your review, it must have been a rather disappointing film. My friends told me it was funny, so eventually I might still watch it and I’ll definitely match it to your review when I get to it. 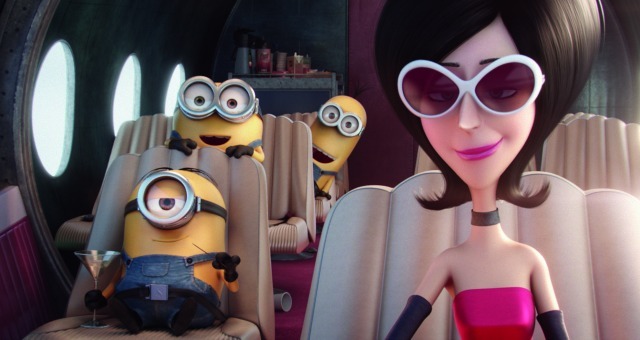 Also, I feel that for a film of this nature, everyone is going after the Minion characters that star-casting Sandra Bullock becomes a very unnecessary move by the creative team. What do you think of that? I think the reason why my review was so harsh is because this movie could have been so much more than it was. It just felt like a kids’ movie instead of a family movie that appeals to both adults and children. 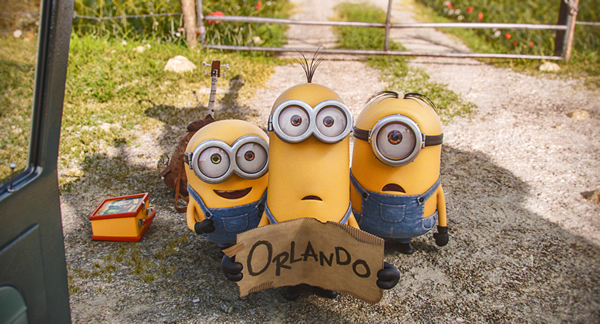 The cuteness factor of the minions ran out for me after the first ten minutes and I was left wanting more. On casting Sandra Bullock, this movie is very similar to last year’s Penguins of Madagascar. The main draw-card of both movies is the loveable, cute characters. Penguins of Madagascar also had big names such as Benedict Cumberbatch and John Malkovich. Now while you could say there wasn’t a need for such big names because we came to see the penguins, I think the big names actually added to the quality of the movie overall. Our heroes are only as good as the obstacles around them. By having these big names, who did some great voice-acting, you provide not only other sources of quality in the film but also characters that our main heroes can bounce off of. I didn’t even know John Malkovich was in Penguins of Madagascar but his voice-acting was so superb and the character he played was so amazing as a result of this that it made the penguins actually seem better. Although I came here to do some “blog auditing” for you, but I got caught up with the Minions. You are right – it was like having ketchup by itself. I liked the selection of the music and some places were indeed funny, but overall, I wouldn’t watch it again, which is where “Despicable Me” scores – I have been able to watch it more than once without getting bored.